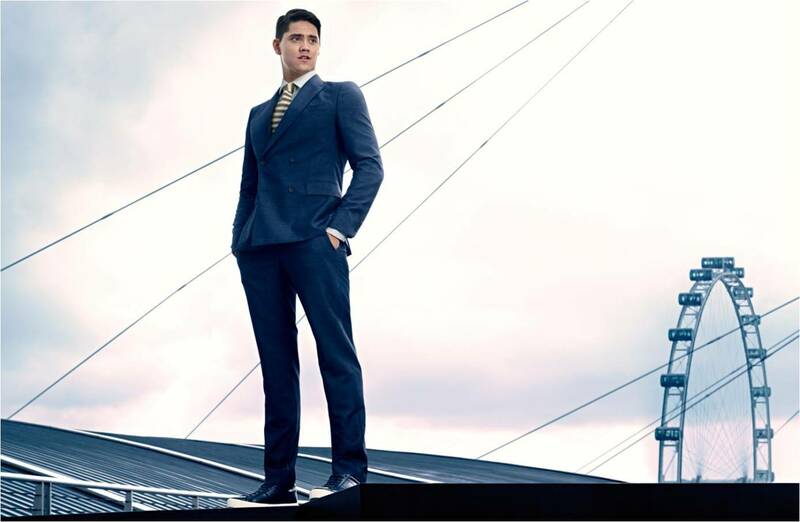 Hugo Boss has chosen Joseph Schooling as it its first Singaporean BOSS ambassador, a move which follows the swimmer’s journey into a professional career. The brand will release a series of short video clips starring Schooling, with a full video released at the re-opening of the BOSS store at The Shoppes at Marina Bay Sands on 25 May 2018. The event will also comprise of a fashion show presenting the Fall/Winter 2018 BOSS Menswear and Womenswear collection, followed by an after-party. In addition, the brand will also be developing a capsule collection in collaboration with Schooling to celebrate the partnership, available exclusively across BOSS stores in Singapore. In a press release, Steven Lam, managing director of Hugo Boss Southeast Asia said that Schooling was the perfect fit for the brand as “a youthful talent with a relentless drive for success”. Schooling’s tenacity and passion for his sport also encapsulates all the qualities synonymous with the BOSS brand values such as success, confidence and precision. “To succeed, you have to be committed in what you do. I take immense pride in all that I do and I give it my all. It is a tremendous honour to be part of such an iconic brand. Being a BOSS brand ambassador is significant to me because the brand’s focus on quality and authenticity resonates with me on a personal level,” Schooling said. Most recently, the Schooling family appointed PR practitioner Rose Tan as a consultant, together with Crowd PR to handle his media engagements and social media platforms. The swimmer was also tapped by Nestle Singapore’s MILO brand as brand ambassador for its newest beverage drink, MILO Gao Siew Dai. Schooling had first gain recognition when he clinched the 100m butterfly gold in an Olympic record time, also marking his biggest achievement to date. Schooling has also won multiple swimming championships on both regional and international levels, including the Olympics, Asian Games and World Championship. Following his gold Olympic win, many brands jumped in to congratulate the national swimmer in an act of real time marketing, a move which divided netizens for being opportunistic. This also caught the attention of the IOC, which reiterated that brands need to be mindful and adhere to the rules and guidelines which protect the Rio Games, its assets and its marks. Based in its Asia headquarters in Hong Kong, Hor will work closely with Prophet's team in Hong Kong, in addition to the Shanghai o.. Both the appointments will take effect 1 August 2018 onwards. ..